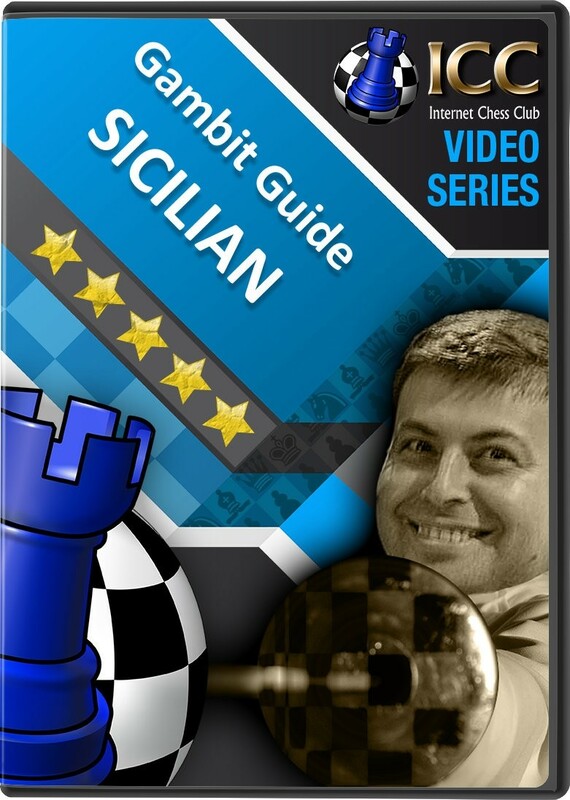 Looking for ways to defeat the Sicilian defense? GM Boris Alterman and GM Alex Lenderman cover four sharp and aggressive opening gambits you can play against the Sicilian Defense. 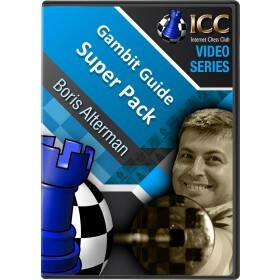 You receive 12 top quality videos of Grandmaster analysis on these exciting openings. For years it was known to all as the Sicilian Lasker/Pelikan variation, but the name-change to Sicilian Sveshnikov (1 e4 c5 2 Nf3 Nc6 3 d4 cxd4 4 Nxd4 Nf6 5 Nc3 e5 6 Ndb5 d6 7 Bg5 a6 8 Na3 b5) came into being after it was revived by the Russian Grandmaster Evgeny Sveshnikov. He was the driving force and inspiration of the variation during the early 1970s when he was a young IM - and back then, it was his creative mind who developed this aggressive method of playing as black. Since then, elite stars such as Kasparov, Kramnik, Topalov, Leko, Radjabov and Shirov have all adopted this variation into their arsenal because it often leads to imbalanced positions. There are many methods to combat the Sveshnikov, but one of the most macho involves the early sacrifice of either a knight or a bishop on b5. And in his latest series, GM Boris Alterman checks the status of both the Nxb5 and Bxb5 gambits vs. the Sveshnikov. A favorite of chess players is unquestionably the late great David Bronstein (1924-2006), who was nothing short of being a true chess genius. He was an independent thinker at the board, and our gambit guru, GM Boris Alterman investigates two highly-respected (and typical) Bronstein gambits for rapid development in the Sicilian Moscow variation after 3. Bb5+. First up will be 1. e4 c5 2. Nf3 d6 3. Bb5+ Bd7 4. Bd7 Qd7 5. c4 Qg4?! 6. 0-0! followed by 1. e4 c5 2. Nf3 d6 3. Bb5+ Bd7 4. Bd7 Qd7 5. 0-0 Nc6 6.c3 Nf6 7. d4!? The Smith-Morra Gambit against the Sicilian Defense (1 e4 c5 2 d4 cxd4 3 c3 dxc3 4 Nxc3!?) is perhaps not common in grandmaster chess, but at club level it can be a very potent attacking weapon. The gambit is named after two players, Pierre Morra from France (1900-1969) and Ken Smith (1930-1999) of the Dallas Chess Club, who popularized it to the masses by writing nine books and fifty articles about it. We offer a 3 part series from GM Alex Lenderman, and one extra video from GM Boris Alterman covering the spectacular attacking game of IM Marc Esserman who beat GM Van Wely with the Smith Morra. Former US champion Gata Kamsky, came up with a new gambit idea in the Sicilian Najdorf with 1 e4 c5 2 Nf3 d6 3 d4 cxd4 4 Nxd4 Nf6 5 Nc3 a6 6 a4 Nc6 7 a5!? that our gambit guru, GM Boris Alterman takes a closer look at.